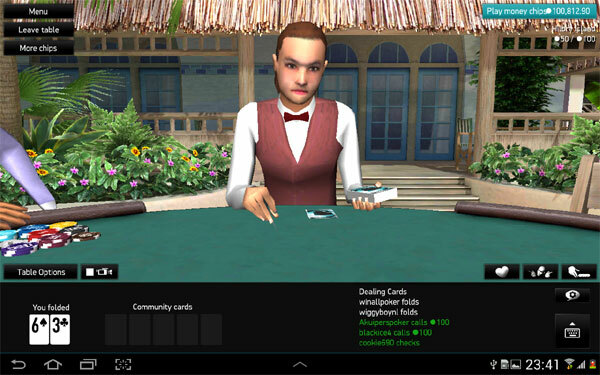 PKR Mobile offer three free casino apps which includes 3D Poker, Blackjack and Roulette. The apps all feature 3D graphics that simulate an actual casino, similar to a casino version of The Sims. Game play is graphically intense with stunning 3D views and interactive features like custom 3D poker avatar, emotes, adjustable moods and chip tricks. The PKR Mobile App is a free download and supports Android tablets and mobiles, iPad, iPhone and iPod Touch. Players can choose between play money and real money modes, no deposit is required to download or play on the PKR App. Meaning it’s totally free unless you want to play for real money and get a first deposit bonus. 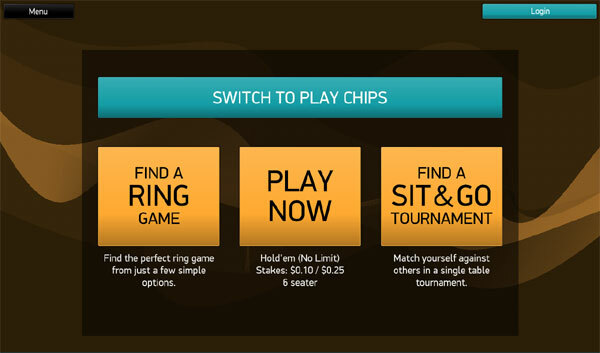 The PKR Poker App has quick seating options for Ring Games and Sit & Go tournaments making it easier to find your favorite poker games from your mobile or tablet. Sign-up for a free PKR account and get the 3D poker app for free, other free casino apps include: 3D Blackjack & 3D Roulette. 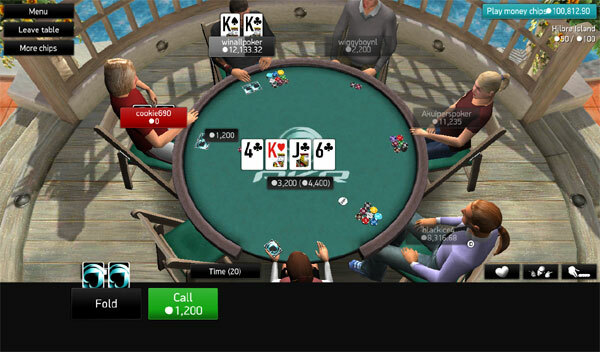 To start playing on PKR Mobile you will first need to sign-up for a free account then download, install the Poker App for your device then login to play. PKR sign-up – register for a free poker account using your mobile device. Choose your app: poker, blackjack or roulette. Choose you mobile device: Android, iPad, iPhone or iPod Touch. Login and start playing your favorite casino apps. The poker app download is more than 400mb, it’s recommend that WiFi is used to download PKR Mobile games. iOS Devices: iPhone 3GS, iPhone 4, iPhone 4S, iPhone 5, iPod Touch & iPad. The iOS App is a 300mb free download for PKR iPad or PKR iPhone poker app. To install the PKR Android App, players will need to allow apps from unknown sources in their security settings, it’s fairly simple to do and is required to get the PKR App working. From your Android Device click on ‘Settings’ then ‘Security’, the unknown sources box must be ticked to allow the app to work. System Requirements: Operating System Gingerbread up to Jellybean – 1GHz CPU, 512MB RAM, 3D GPU Graphics, WiFi Connection. Hi, Question Why does my samsung galaxy tab 3 not work with the pkr app . I can Install but soon As I load a table it shutsdown. As the samsung galaxy tab 2 is on your supported device list I assumed the samsung galaxy tab 3 would work? I have no idea why the PKR app doesn’t work on your Samsung galaxy tab, you could try the 888Poker app, its pretty good.